outdoors especially with the changing of seasons. Jason spent many summer days catching frogs and tadpoles at the pond, fishing at the reservoir, and catching snapping turtles. In the woods across the street he would build shelters and play in the swampy water throughout the year. Jason and his brother would often kick through the skunk cabbage and have cattail sword fights. He has always loved nature and loved learning about the native cultures from the area. He liked reading about the Wampanoag tribe and learned how to make wampum jewelry later in life. Jason always had the urge to travel and after high school he joined the U.S. Navy where he served honorably for 10 years. He has traveled throughout the US and explored some other parts of the world as well. Along with animals, Jason also loved plants from a very early age. As a child he had his own herb and vegetable garden. After the Navy he studied horticulture and worked as an arborist before starting his own landscaping company. He enjoys working with all plants and his relationship with them is always growing as he learns different uses and ways to use them medicinally. 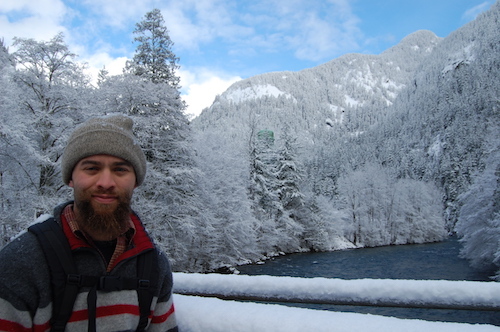 Jason will soon apprentice with Greg Monzel in his community herbalism class, furthering his love and connection to the plant kingdom. I'm looking for skills courses. I'm looking for kids camps.